Following Vancouver Foodster’s adventure in Downtown South, September’s Tasting Plates explores Kitsilano West. The restaurants featured are Essentia Cafe, Bon Macaron, The Juicery Co, Tera V Burger, and Darby’s Public House and Liquor Store. My first stop after picking up my Tasting Plates card, was Darby’s Public House, a local and independent establishment that has been part of the Kitsilano community for over 30 years. 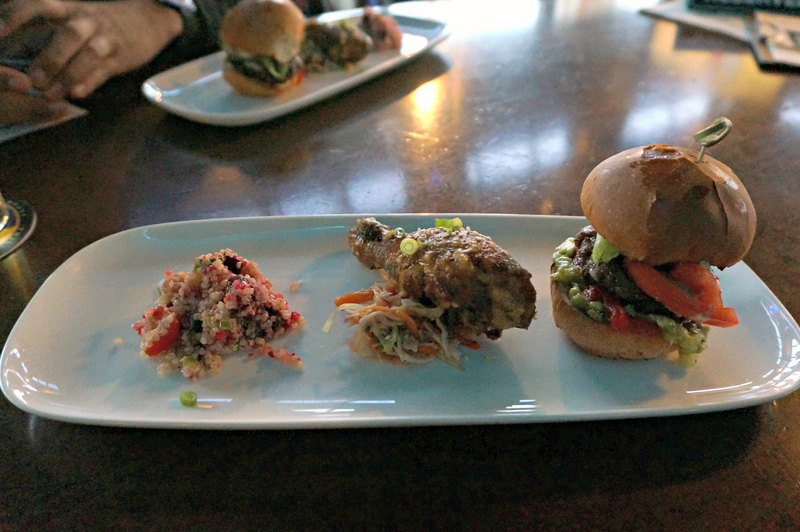 I had the pleasure of tasting a Mini Broadway Burger, Smoked Chicken Drumette and Quinoa Salad. The mini size of the burger was perfect for Tasting Plates, but I could see myself ordering the full size one when I return. Next was The Juicery Co, a family-run organic cold pressed juice and nut mylk shop. Owner and co-founder Christina was super friendly and more than happy to share her story and knowledge of juicing with us. Thanks Christina! I sampled the Local Rose Juice, The Original, and Dads Juice, all with a combination of 4-7 different fruits and vegetables. Christina warned us that it may be overwhelming for those who don’t eat fruits and veggies regularly, but I thought the three juices were absolutely delicious. 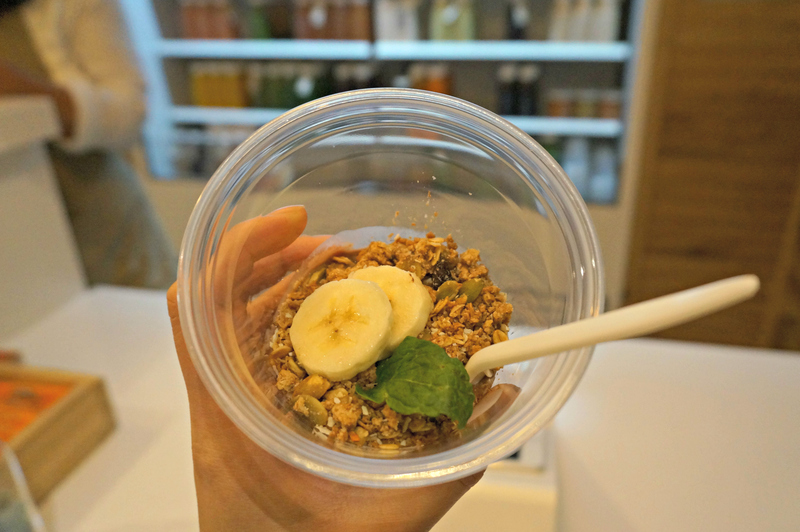 The Mini Acai Bowl would be great in the morning as breakfast – frozen Acai blended with raw cococa, maca, homemade nut mylk, frozen banana, topped with gluten free granola and fresh banana. Terrible photo below (sorry), but so tasty! Essentia Cafe is a bright, quaint spot offering European-style cafe. 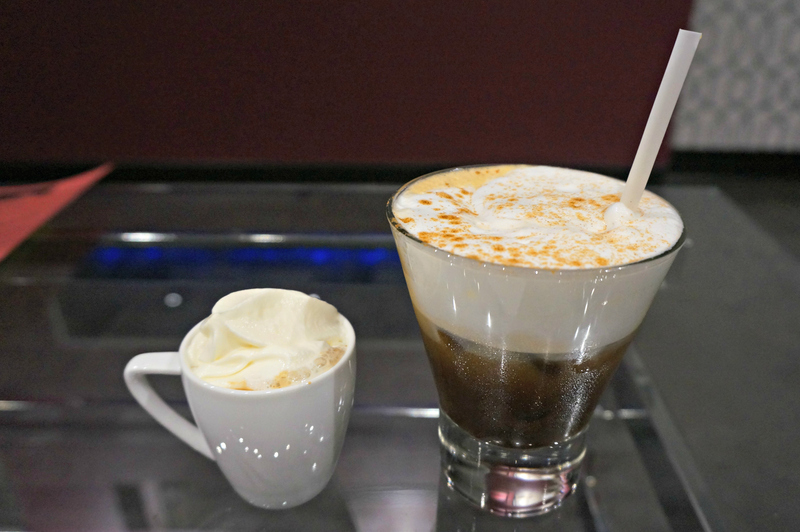 Their tasting cups included a Freddo Cappuccino, which is an iced version of cappuccino with a thick layer of cold whipped milk, and a Con pana, a popular Italian single-shot espresso served hot with whipped cream. 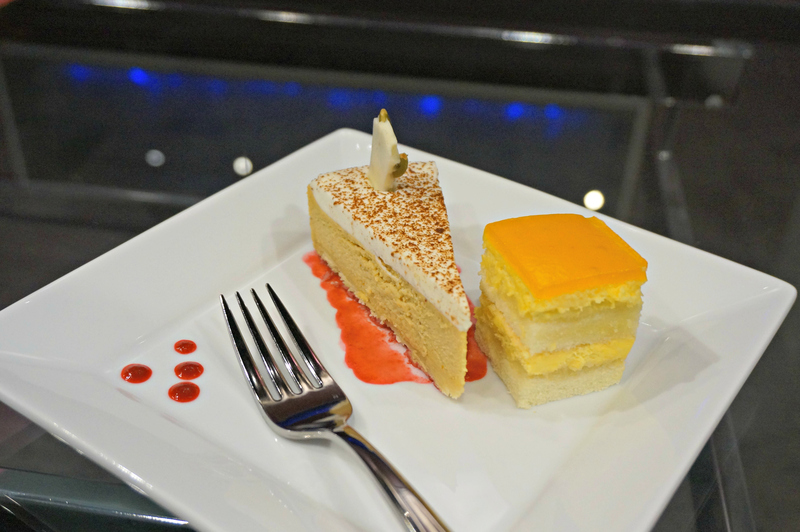 As for tasting plates, I was treated to a wonderful pumpkin cheesecake, and a mango shortcake. I am always a sucker for anything mango, but this pumpkin cheesecake came a close second! I would definitely recommend trying it out if you have the chance to visit Essentia Cafe. Tera V Burger prides itself on being more than just a restaurant, but a movement to be beneficial to the planet, and mankind. 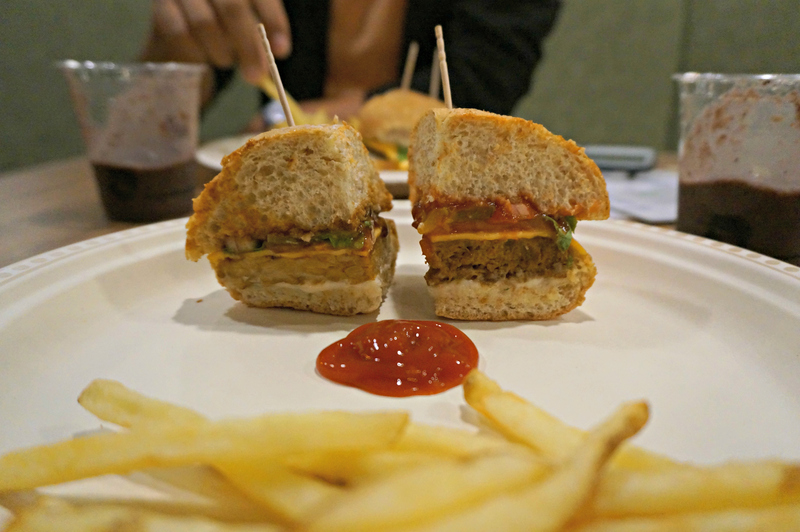 Their menu is all vegetarian, but satisfies your cravings with burgers like the No Bull Burger, and the BBQ Tempeh Burger. Their potato fries are baked, but fried, for a healthy yet delicious indulgence. Not pictured (because I finished it too quickly… oops) is the Super Food Smoothie, with kale, spinach, carrots, banana, strawberry, blueberry, and touch of honey. A visit to Bon Macaron is a sweet visit indeed, especially as the last place of Tasting Plates. 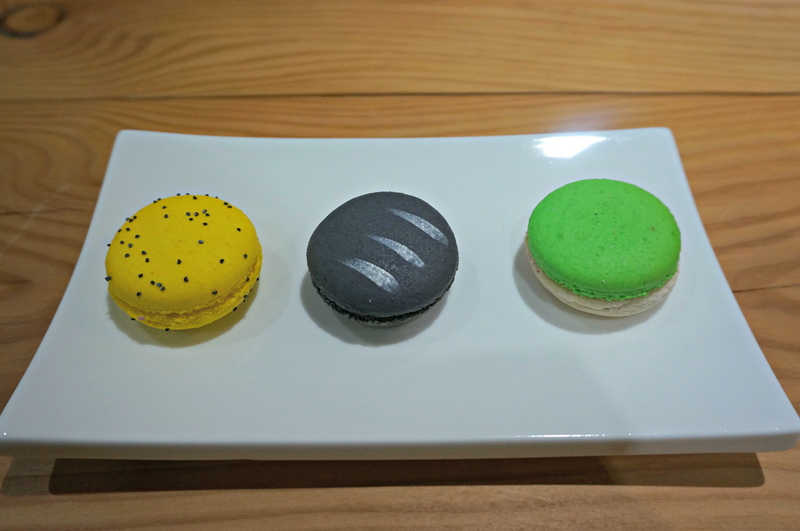 Co-owner David Boetti handpicked three flavours of macarons for me – (from left to right) Lemon Poppyseed, Oreo, and White Chocolate & Wasabi. The last one, White Chocolate & Wasabi, actually tastes like wasabi. Don’t believe me? Try it for yourself! Their macarons are beautifully crafted, with an inventive and constantly changing and expanding array of flavours. Some of the most creative ones I saw were White Truffle Sea Salt, Bacon, and Bubble Gum. And that wraps up Tasting Plates in Kitsilano! As always, thank you to Richard of Vancouver Foodster for inviting us on this tantalizing adventure for our tastebuds. The next Vancouver Foodster event is Food Talks, Volume 13 on October 27, at Sage Restaurant at UBC. Get your tickets here: Eventbrite Food Talks Volume 13.